The British Columbia Forest Discovery Centre (BCFDC) is a museum with an educational mandate to tell the story of the past, present and future of the forest sector in British Columbia. 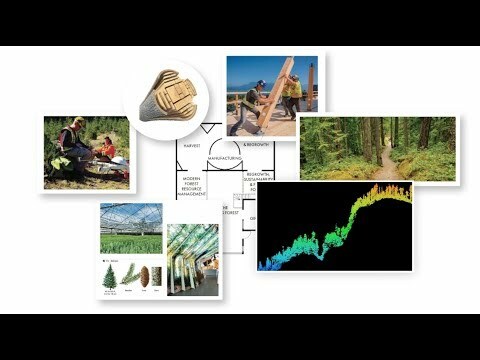 This project proposes the creation of a new, $1.5 million exhibit – Forests Forever: Innovation in Modern Forestry – where 100,000 people per year will go to learn about modern forest management and its benefits to the BC Coast. The exhibit will be housed in the main building of the BCFDC in Duncan, BC. The intent of the exhibit is to inject new life into the BCFDC, making it the premier tourism destination on the BC coast to learn about forestry. The project intends to attract local, national and international tourists, students, outdoor enthusiasts, forestry workers and BC wood products consumers. The project will be led by the BCFDC, and supported by the local forest sector, and the many people and suppliers who want to explain the positive influence that coastal forestry has on BC’s economy, environment and social fabric.